One of Food Lion's 63 newly remodeled stores. Completing another phase of a multiyear store refresh program, Food Lion tomorrow plans to unveil 63 upgraded stores in greater Roanoke, Va. The Ahold Delhaize USA supermarket chain said Tuesday that the $91.7 million capital investment included remodels of the Roanoke-area stores as well as hiring nearly another 2,000 store associates. Salisbury, N.C.-based Food Lion said that it has now remodeled 712 of its 1,030 stores over the last four years. Most recently, the retailer wrapped up a $168 million project to update 105 stores in the Norfolk, Va., market and hire 4,000 additional store staff. The renovated stores reopened in late August. In the Roanoke market, customers will find expanded variety and selection across departments relevant to their store locations, such as more fresh produce and meat, including Nature's Place beef; more locally produced items in the “Local Goodness” section; more craft beers; limited reserve wines; and additional natural, organic and gluten-free items, Food Lion said. Select stores will offer hand-battered chicken plus in-store cut fruit and vegetables. Food Lion hired 2,000 more employees in its Roanoke, Va., market. Thirteen stores have walk-in garden coolers, designed to maintain produce freshness, and 12 stores feature a wing bar for quick, hot meals. Also on the meal solutions front, the remodeled Food Lions carry a broader assortment of easy, affordable meals for families and an increased variety of grab-and-go fare and presliced fresh deli meats and cheeses, which are available for customers to pick up without waiting in line. 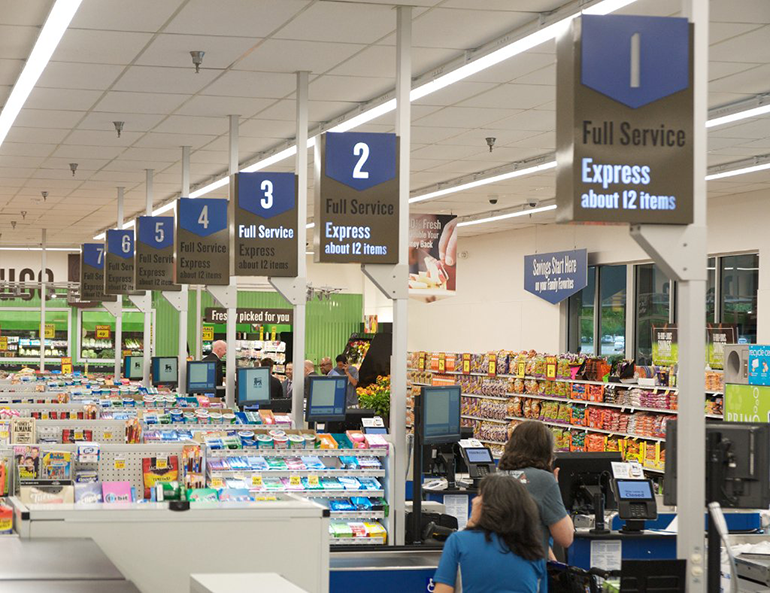 The improved shopping environment includes a speedier checkout process and new signage and groupings of like products to make it easier for customers to navigate stores and find items faster, according to Food Lion. The chain noted that it’s also serving up low prices on thousands of items across all store departments. “We've created a new grocery shopping experience through the significant investments in our stores, customers, associates and communities. From our expanded variety and product assortment, newly reorganized stores, new signage to a more efficient checkout experience, every change we’ve made will make it easier for our customers to find fresh, quality products at affordable prices every day,” Food Lion President Meg Ham said in a statement. “We not only invested in our stores, we also invested in promoting great associates and hiring promising new talent," she added. Plans call for the remodeled Roanoke-area stores to open to the public Oct. 10 after a morning ribbon-cutting ceremony. Food Lion said the events also will include giveaways: a free thermal tote bag and a mystery gift card valued between $10 and $250 for the first 100 customers in line at opening and a free Food Lion-branded bamboo cutting board for the first 100 customers in line at 5 p.m.
Food Lion operates stores in Delaware, Georgia, Kentucky, Maryland, North Carolina, Pennsylvania, South Carolina, Tennessee, Virginia and West Virginia.